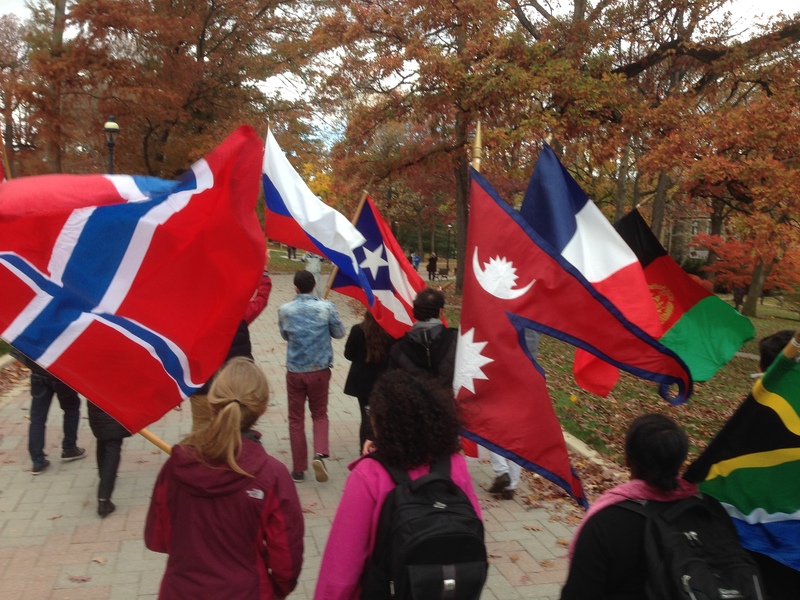 So last Friday marked the kickoff for international week where people represented their country by carrying their flag along with other students around campus. I initially thought you were supposed to have registered few days earlier in order to carry your nation’s flag and so I went to the march not expecting anything (or at least expecting someone from Guatemala to carry my flag), but a friend of mine went to go get his flag right before the march, so I went to go get mine as well! This is everyone who participated and their country’s flag just before the march. This is all of us during the march. We walked through the dining halls, we passed Taylor gym, Chandler Ullman and a few other buildings as well. And this was at the end of the parade where we took many pictures at the flagpole and talked with different types of people from different countries. 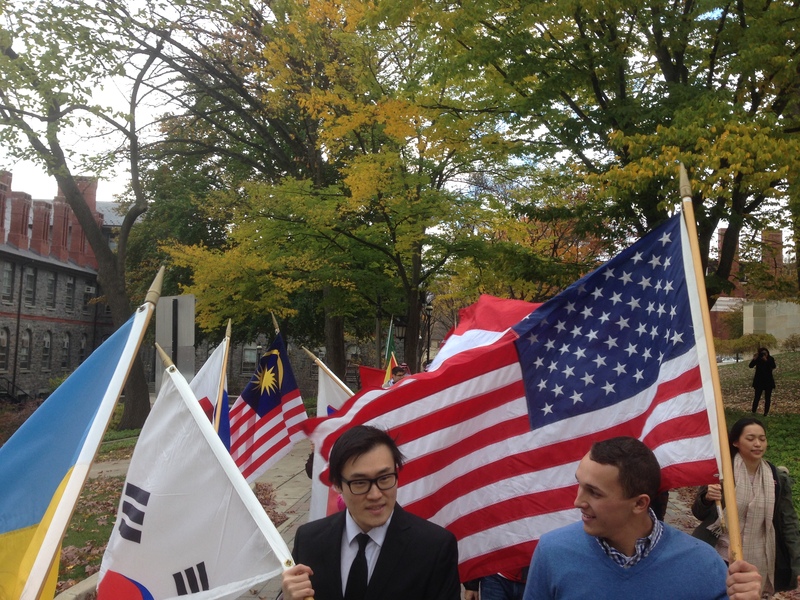 This is my friend Aakash and I with our flags. 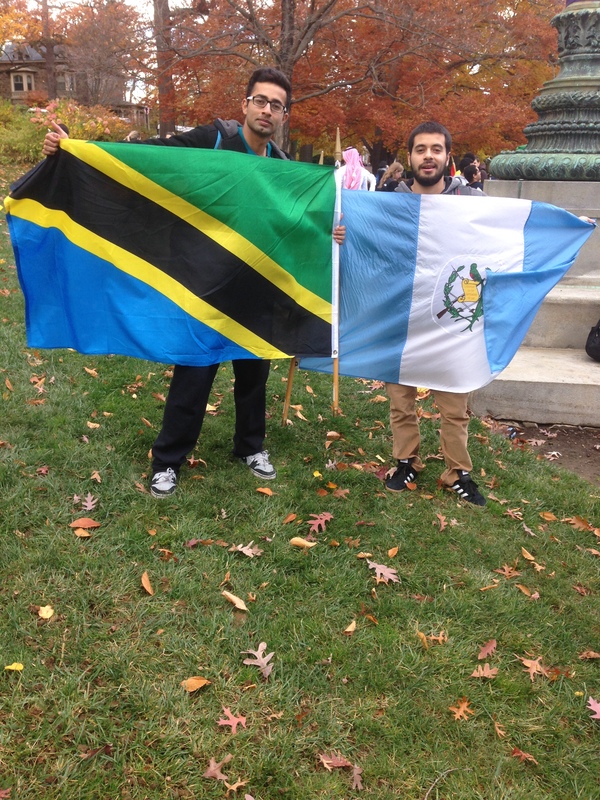 I had my country’s flag, Guatemala and he has his country’s flag, Tanzania. 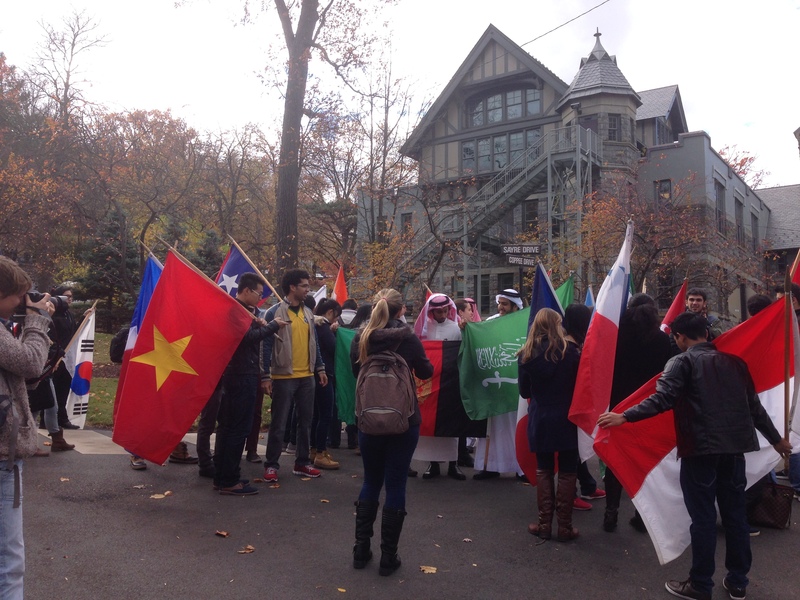 It’s really interesting how you can meet people from different types of the world here at Lehigh and how you can learn and appreciate from them as well. I’ve gotten close to some of these international students and it has been pretty cool knowing them. And that is one thing that Lehigh has been growing in……. Diversity.